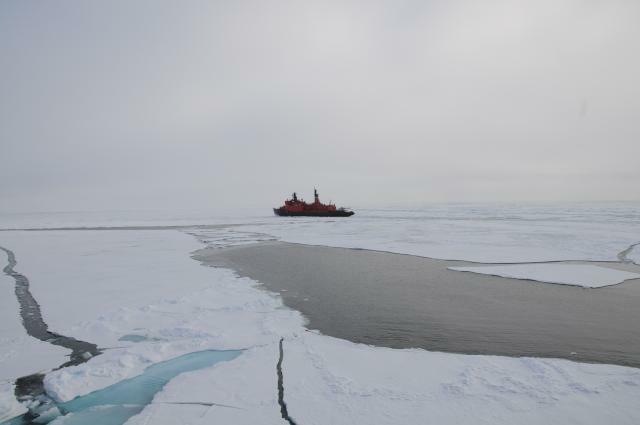 As we were heading south from the Pole, we happened to pass Atomflot sister ship Yamal , which we'd last seen at the dock in Murmansk, heading north. 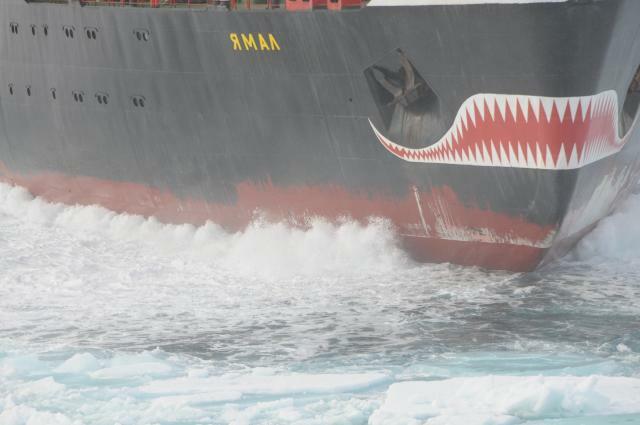 The Yamal can be instantly recognised by its unique toothy grin. 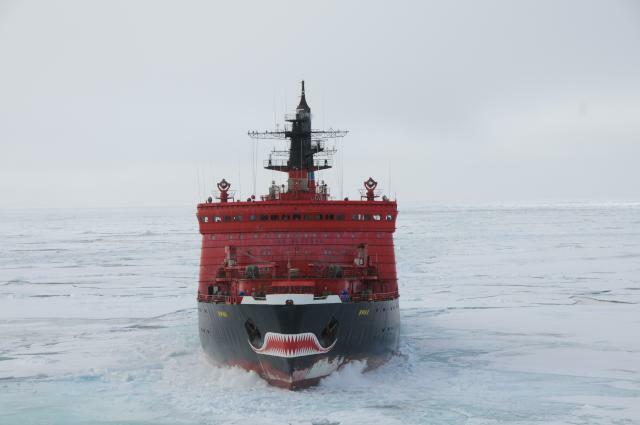 In winter, ice forms on the anchors, giving the impression of eyes above the jaws. 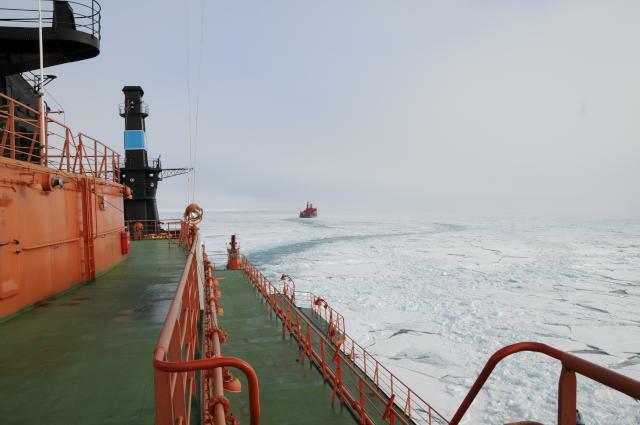 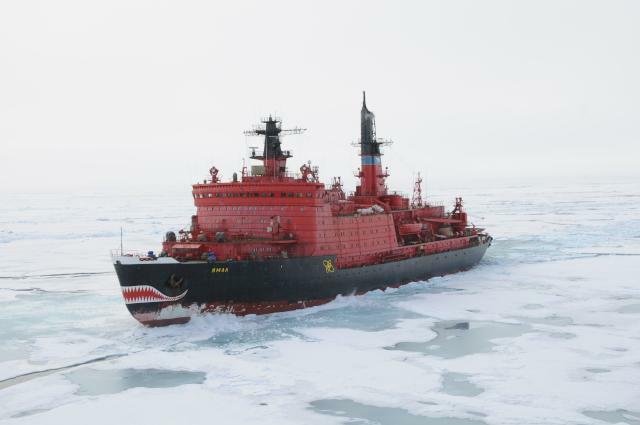 The Yamal was using its forced air system to ease its passage through the ice—note the foam around the bow.